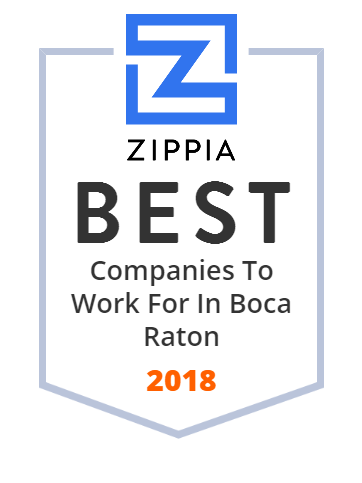 We hand-curated a list of the best companies to work for headquartered in and around Boca Raton, FL using data on salaries, company financial health, and employee diversity. Non-Melanoma Skin Cancer (basal cell carcinoma/squamous cell carcinoma) can be treated with a non-surgical skin cancer treatment. Sensus Healthcare SRT-100. Bluegreen Vacations is an American private vacation ownership company based in Boca Raton, Florida. SBA Communications Corporation operates as a real estate investment trust. The company operates through two segments, Site Leasing and Site Development. It owns and operates wireless communications infrastructure, including tower structures, rooftop, and other structures that support antennas used for wireless communications. As of December 31, 2016, the company owned 15,922 sites in the United States and its territories; and 10,275 towers in Canada, Central America, and South America. It also provides site development services, such as network pre-design; site audit; identification of potential locations for towers and antennas on existing infrastructure; support in leasing of the location; assistance in obtaining zoning approvals and permits; tower and related site construction; antenna installation; and radio equipment installation, commissioning, and maintenance. The company qualifies as a real estate investment trust for federal income tax purposes. It generally would not be subject to federal corporate income taxes if it distributes at least 90% of its taxable income to its stockholders. SBA Communications Corporation was founded in 1989 and is headquartered in Boca Raton, Florida. Welcome to the Official QEP Twitter page- a worldwide leader in the manufacturing, marketing & distribution of specialty tools & flooring related products. WBMC provides emergency, pediatric, women's care, orthopedic and acute care services for Palm Beach and Broward County. Florida Atlantic University is a public university in Boca Raton, Florida, with five satellite campuses in the Florida cities of Dania Beach, Davie, Fort Lauderdale, Jupiter, and in Fort Pierce at the Harbor Branch Oceanographic Institution. Vitacost.com, Inc is an American e-commerce company based in Boca Raton, Florida, that sells vitamins, supplements and organic grocery products.